The employee onboarding experience makes a huge impact on an employee’s future at an organization. As an employer, you can ease the stress on everyone by making the new hire the most important part of the experience. 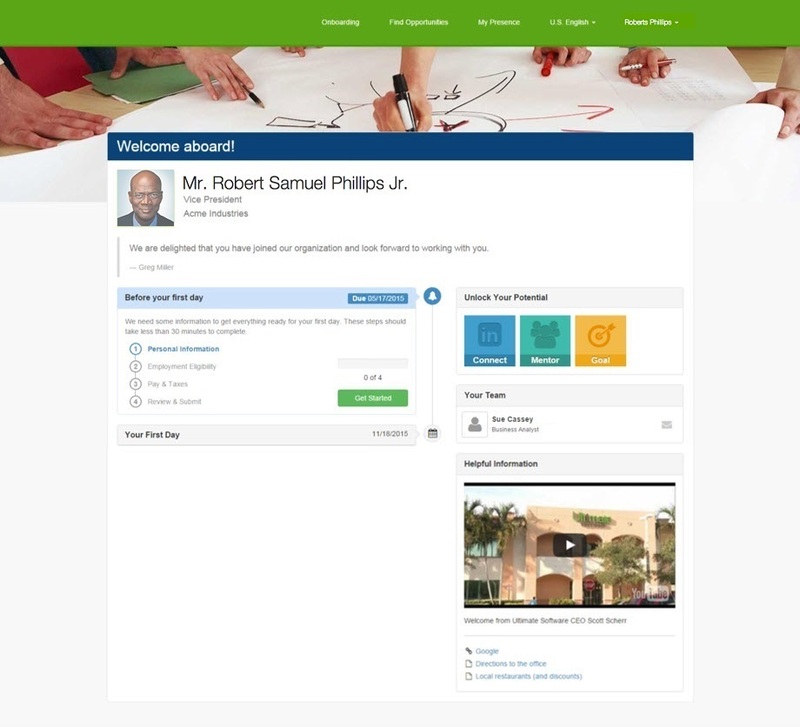 UltiPro® Onboarding delivers unique, collaborative technologies that help your new employees connect to your company in a way that’s personal and impactful. With UltiPro conveniently accessible from any smartphone or tablet, new hires can start completing tasks from anywhere—even before their first day. UltiPro’s employee onboarding solution delivers unique, collaborative technologies that help you build successful relationships, increase employee engagement, and improve business performance. Watch a short product tour of UltiPro Onboarding to learn more and see how many companies are delivering an engaging, productive, and person-centered new hire experience.